Having our cats neutered is vital if we are to prevent the increase of unwanted kittens that Cats Protection has to deal with every year. The case of little Sweet Pea is a sad example of one such unwanted kitten that brings home just how important it is that we ensure our cats are neutered. Sweet Pea was discovered abandoned in a skip in Ashton by a lady who initially thought she was a rat because of her small size. Although Sweet Pea only looks around 5 weeks old she was closer to 12 weeks. She was brought into our care a very poorly kitten and received round the clock love and attention from her fosterer, but sadly Sweet Pea lost her fight for life. She was very brave and will always have a special place in our hearts. 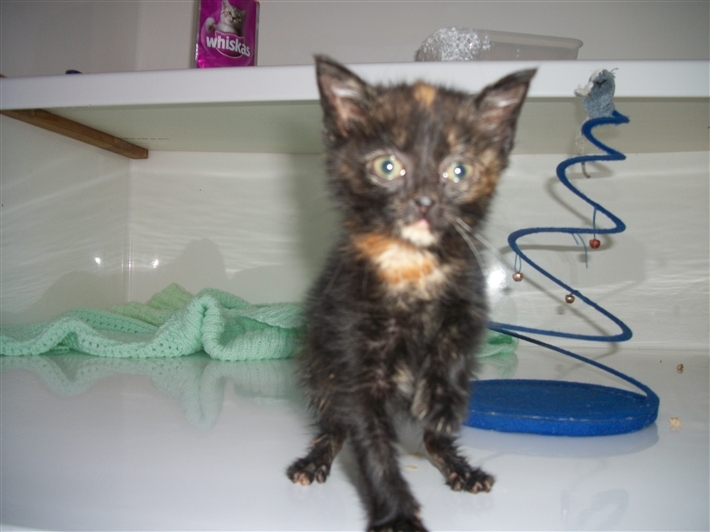 Please help us to prevent unwanted kittens like Sweet Pea from neglect, abuse and abandonment by continuing to support us so we can carry on with our neutering scheme and promoting neutering awareness. Here at Cats Protection we hold a neutering clinic at Vetcare in Leigh, every Tuesday. To book you cat in for neutering, please contact Carole on 01942 888693 between the hours of 10am and 5pm Monday to Friday. If no one answers please leave an message and someone will get back to you. We ask that you would please book four weeks in advance as there is a very large waiting list. As well as having your cat neutered, you can also have it wormed, treated for fleas, ticks and micro chipped. Contact Carole for more information. Please note that you will also need to pay the vet a top up fee of between £13.50 and £15 with these vouchers. Please make sure that your local vet will accept these vouchers first. Contact Carole for more information. Financial Assistance - If you are struggling to pay for your cat to be neutered we may be able to help. If you are currently claiming a means tested benefit and you are able to provide proof of this, then Cats Protection could be able to support you. Click here for more details! 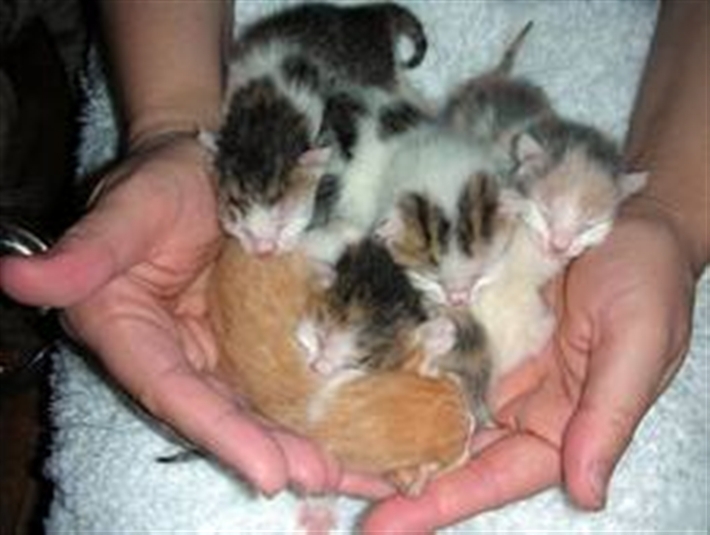 Neutering is very important if we want to prevent future generations of unwanted cats and kittens. If you haven't already neutered your cat then please do so now! CLICK HERE! to see a short video clip about neutering! !